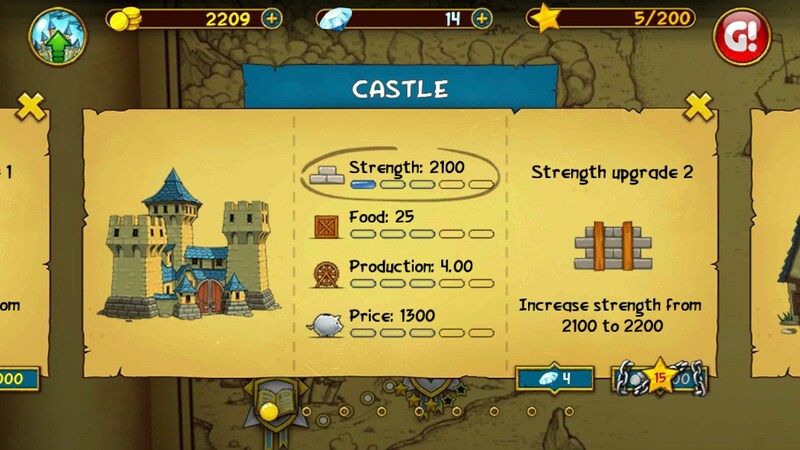 Battle Towers – Games for Android 2018 – Free download. Battle Towers – The opposition strongholds. 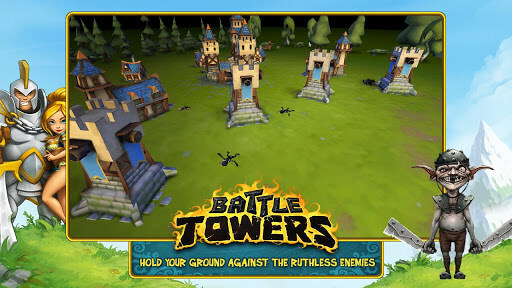 Battle Towers - is a fun strategy game for Android, in which we will rebuild your base, recruit an army to defend from enemies and raiding his neighbor. 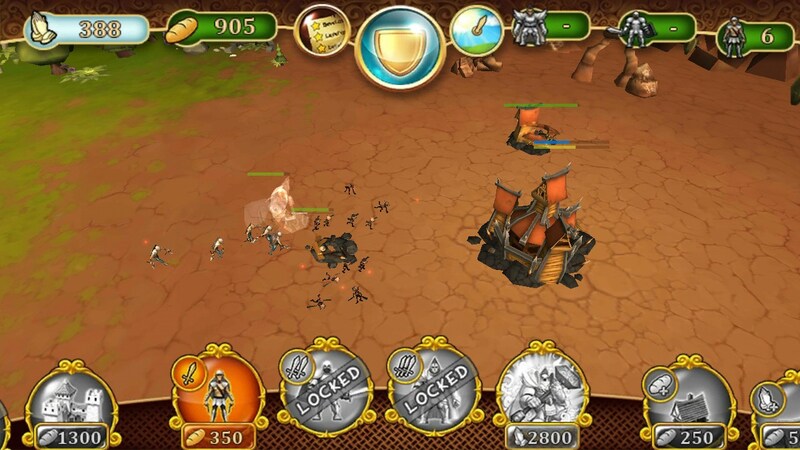 The game has a very interesting gameplay, which we had not previously met in mobile games. Engaged in developing the game studio Game Insight, the author of dozens of successful online social arcade games, among which The Tribez , Paradise Island and many others. A distinctive feature of all the games studio - it's nice graphics, localization in many languages, as well as a reasonable balance in the model Freemium, which is increasingly applied to new games. In this game we will fight the enemy neighboring country, making inroads on each other and building a competent defense. The score of the game goes on for days and hours. Each time unit built farms will bring in money, and temples - particularly energy. Buildings in the game can not only improve, but also improve the individual performance of buildings, such as strength, the number of lives, efficiency and so on. One of the most important parts of the game Battle Towers - a change of day and night. For each time of day present their bonuses and drawbacks. 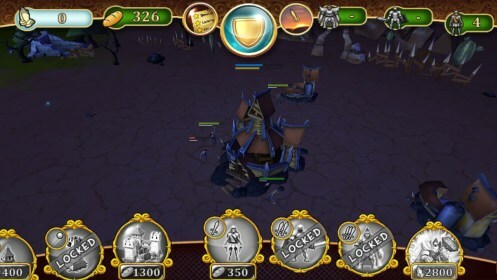 Enemies usually raid at night, when the number of soldiers is almost not visible, and the tower can easily miss. The game has a very simple interface for the genre. All the buildings and improvements at the bottom of the screen in one single list. On top of all of the information fields are displayed with a number of resources, levels and so on. Top center is also home button, which takes just two positions, depending on the situation. 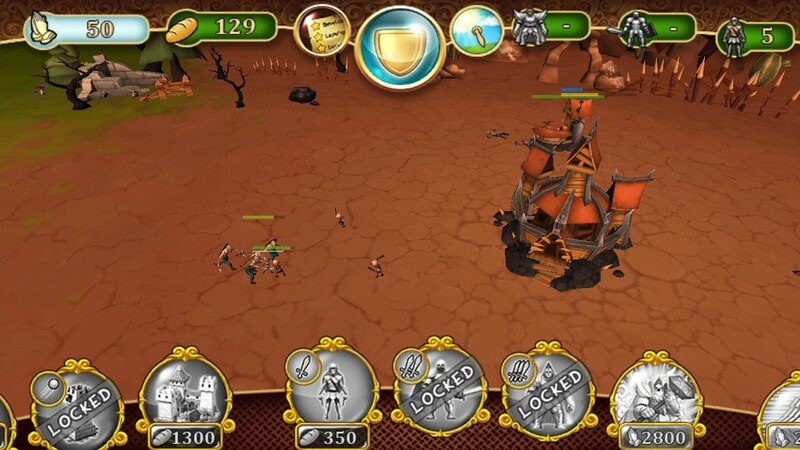 When you first press the big button we will send all the available soldiers in the attack. 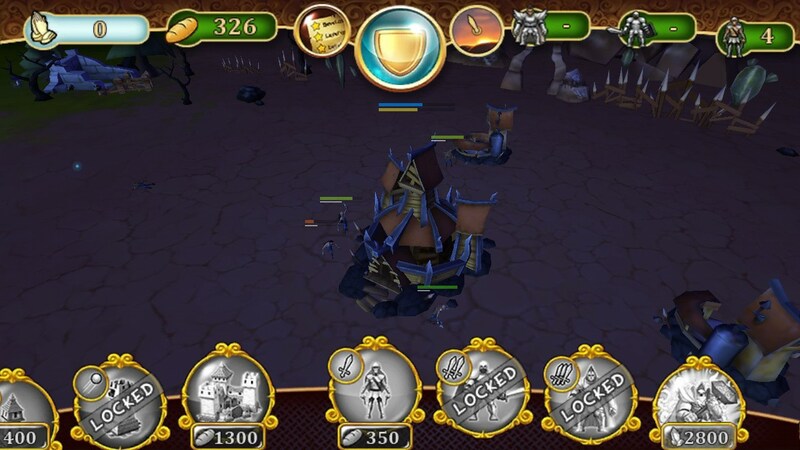 By clicking on the same button a second time, we can cancel the attack and give the order to the defense. 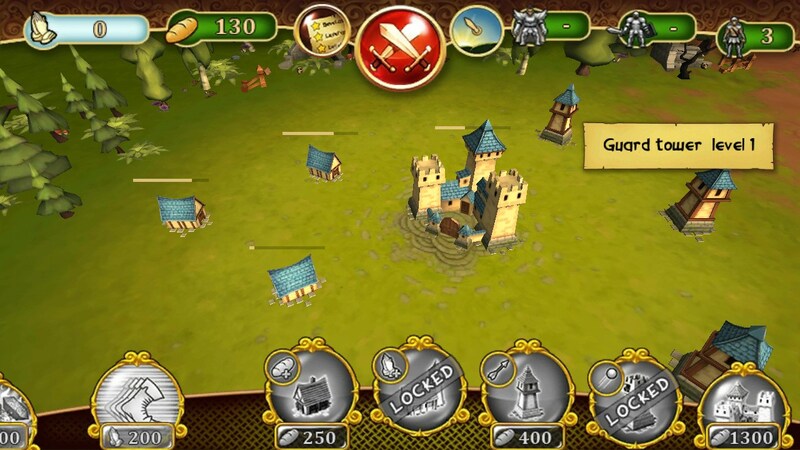 At a time when soldiers are fleeing an enemy castle, we can tell them the specific goals of the building or units. Summary. 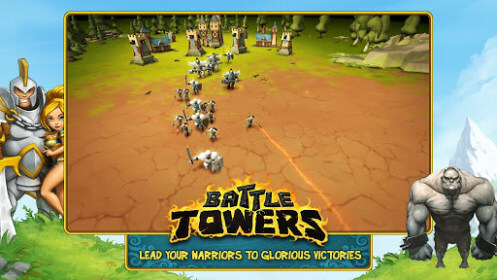 Battle Towers - is another interesting strategy with elements of Tower Defense for Android devices. The game looks very original and stands out from the monotonous game about the construction and improvement of the turrets. Distributed game for free, but ad-and the opportunity to purchase additional items for real money.